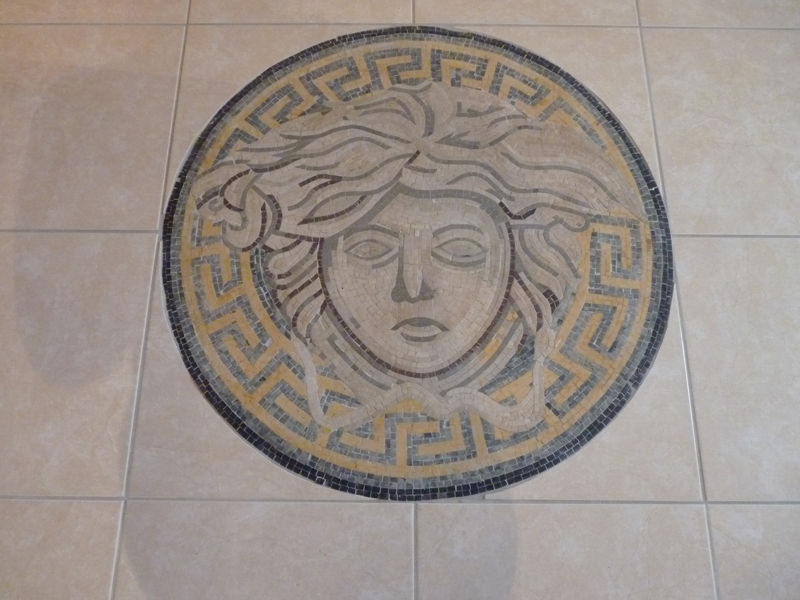 Versatile, easy to install and wear resistant, mosaic tiles have become a good option for contemporary floor design. Unlike Greek and Roman times where they used to cover entire floors, mosaic tiles are adapted today to smaller living spaces and more modern designs. 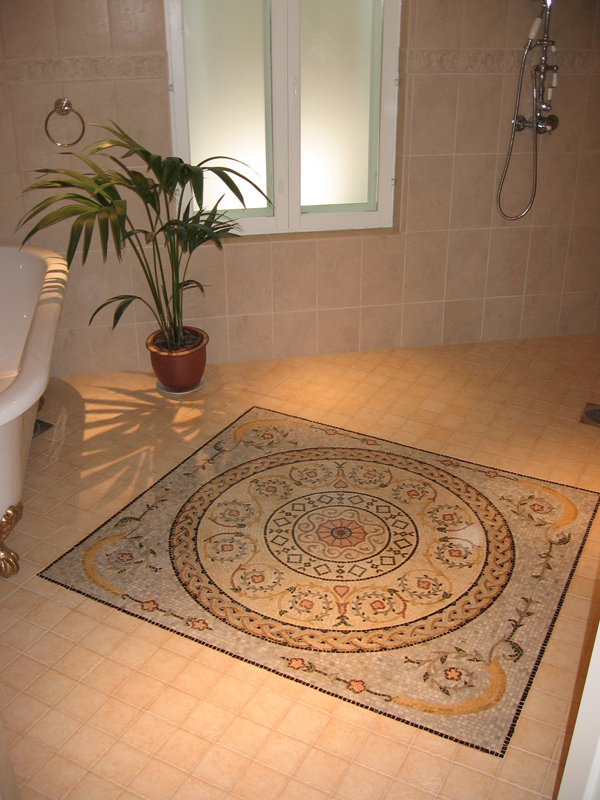 Ideally, they’re integrated in existing marble or ceramic flooring, adding a touch of art where the design asks for it. Considering today’s urge for practicality and cost-efficiency, integrating mosaic in your flooring should be done in a smart way. And by that I mean adding the exact touch that your floor needs in the most visible way. Adding mosaic accents in flooring that’s hidden by your furniture might not be the smartest way to utilize and highlight your investment. Patterns, colors, and sizes of tiles usually differ from a space to another. 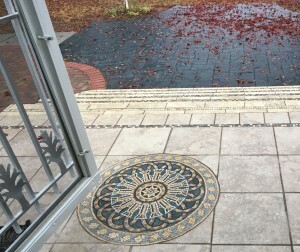 Decorating your entrance or living room would require a different technique and styling approach than doing so with your bathroom flooring. In areas where water corrosion are less likely, mosaic flooring can be mounted using porcelain, glass, ceramic, or any material. However, in bathrooms and for wet floors, not only the mounting technique is different but also the tile material used. 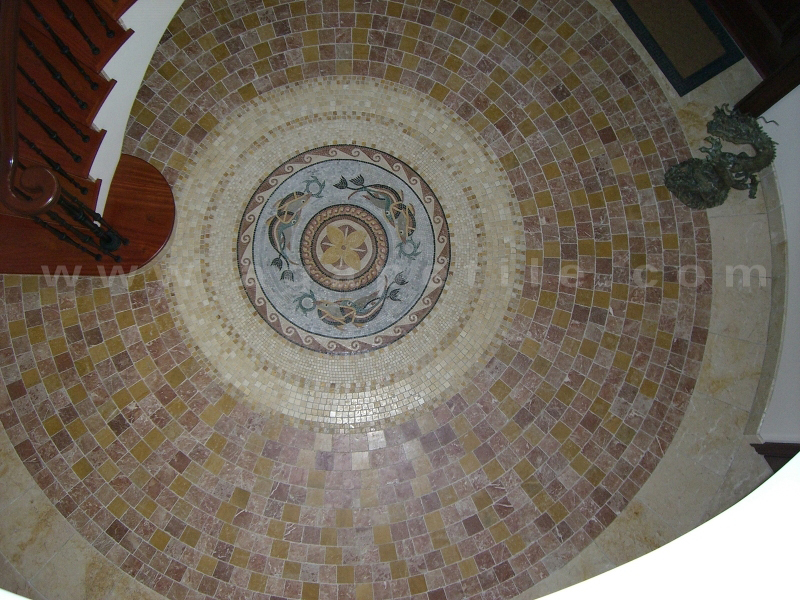 It’s highly advised to consult mosaic experts to know which design and material corresponds better with the living space you would like to decorate in your house. Depending on the size and style of your space, mosaic flooring should come to embellish the overall look of any room. Even if added in discrete patterns and subtle lines, it would make a big difference in living spaces. Long-lasting, resistant, and low-maintenance, mosaic is a popular form of art and a great choice to decorate your flooring, leaving you with beautiful works of art and enhanced spaces.